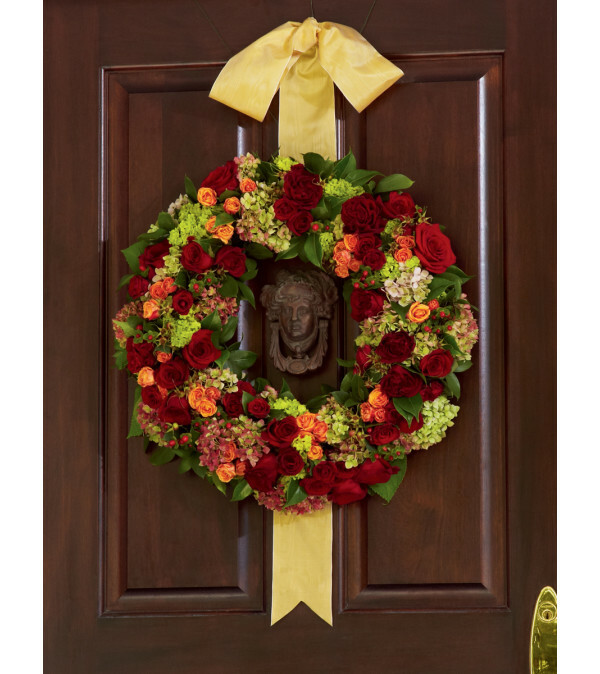 The FTD® Matrimony Wreath is full of rich, lush color to add to the décor of your wedding day. Red roses, vintage green hydrangea, green viburnum, orange spray roses, red spray roses, red hypericum berries, green rose hips and lush greens are brought together to form a stunning wreath. 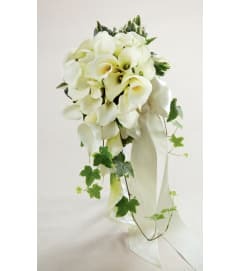 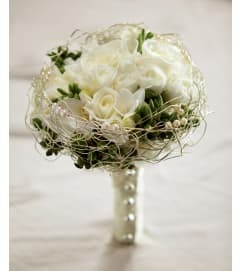 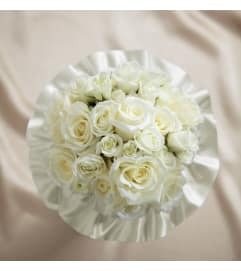 Hanging from a golden satin ribbon, this arrangement will be the perfect accent piece for the ceremony or reception.